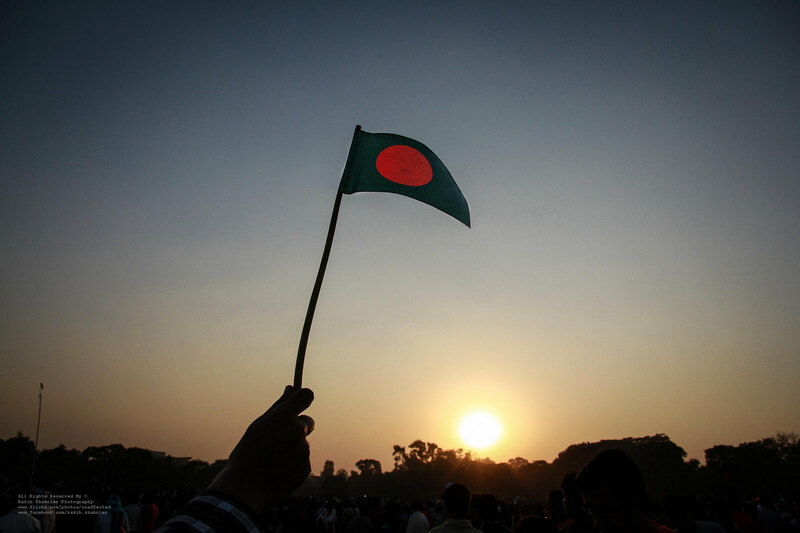 Bangladeshi Victory Day: What is it? In my History class earlier this term, when teaching us about British foreign policy inyet mid 20th century, my teacher asked the class if any of us had ever had formal education about the empire before. He was met with blank stares. The word “empire” for most people in Britain (and certainly for any of the desi diaspora) brings to mind the Indian subcontinent which was divided by religion into India and East and West Pakistan. The story of how East Pakistan became Bangladesh is overwhelmingly unknown, but today is the 45th time Bangladeshi people will celebrate the Victory Day “Bijay Dibas” in Bengali. 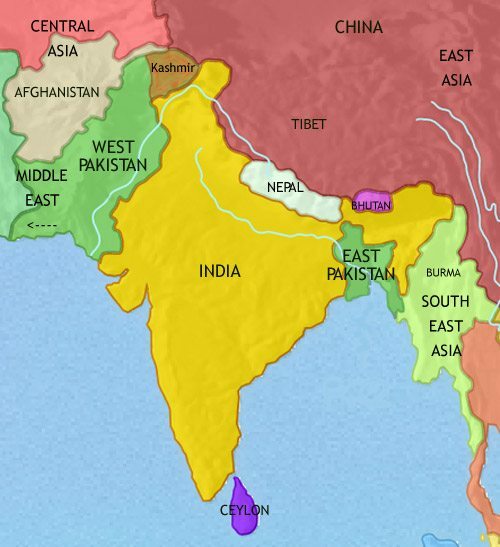 The partition of the subcontinent was mostly decided on the basis of religious divisions between Hindus and Muslims, so the area of Bengal was split into two: West Bengal, which still remains part of India, and East Pakistan. 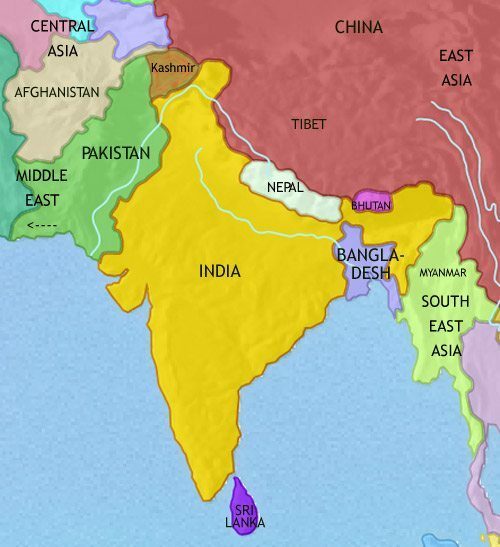 Most areas of the subcontinent have their own language, including Bengal, and the survival of the Bengali language was a big driving force behind the independence movement along with the subtle religious differences. Another reason for the divide was the huge investment into West Pakistan’s economy by the British Empire and the ignored poverty of the East. For example, in the period 1965-70, the investment into the development programme of East Pakistan was worth RS.2400 million less than the West (Pakistan’s Fourth Five Year plan). The inequity of the spending furthered poverty in the east, but the disparities between the two parts of Pakistan were made clear when the Governor-General Muhammad Ali Jinnah stated in March 1948 that Urdu was to be the single language of Pakistan. The 1971 Bangladesh genocide which left approximately three million people dead, began with Operation Searchlight: the West Pakistani plan to end the Bengali independence movement in the East. Over the nine month period, ten million refugees fled into the the middle ground of India, which caused Indira Gandhi (the Indian PM at the time)i to consider going to war with Pakistan to be a more economical option. The official declaration of independence came on March 26, 1971 from Sheikh Mujib, who became the first President of Bangladesh in 1971-72, and who was assassinated by rebels in 1975. The US government supported Pakistan during the entirety of the conflict, while the USSR supported the Bangladeshi plight. Today commemorates the anniversary of the end of the war, the genocide and the subsequent freedom. This merciless battle for independence ended only 46 years ago, yet the Bangladeshi people continue to be forgotten in diaspora communities. The hideous bloodshed that took place must be acknowledged but primarily the preservation of Bangladeshi culture needs to continue too. Note: Because this article was written by an Indian person, it lacks the depth and intimacy a Bangladeshi voice could offer it, but the objective story itself is enough perhaps to show the wounds that existed and arguably still exist in the subcontinent 50 years post Partition, and the significance today has for Bangladeshi communities across the globe.